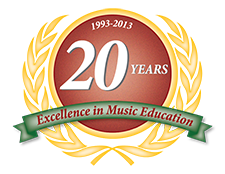 The San Jacinto Music Center’s staff of professional music teachers offer individually tailored lesson programs for most instruments and voice. Our staff can considers each of the following before recommending a lesson schedule. An Introductory Lesson is available to each new student at the special rate of just $19. An Introductory Lesson is 30 minutes long and allows for the student and/or parent to see the instructor’s teaching style and approach first hand. The office will then call the student or parent the next day to answer any additional questions they may have. The student can then complete their registration at that time. Call our office to sign up for your introductory lesson now! When enrolling for piano or guitar instruction parents and students have the option of either group or private lessons. Some students work particularly well in small groups. The group format allows for certain activities that are not available during private lessons, such as musical games and playing together in duets and other combinations. Some students develop their rhythmic skills more quickly in this format because of these opportunities. Parents and teachers have also observed that students in group lessons improve their skills of cooperation and peer interaction, all while having fun as they learn alongside their classmates. If group lessons are not available at a convenient time, then private lessons are always a great way to go. A student can change from group to private lessons at any time. In private & Group lessons, each student can learn at his or her own pace and the teacher can focus on that individual student’s strengths and weaknesses. If you are having trouble deciding between group and private lessons, then a member of the staff or the Director can help by asking some questions and providing more information. We can help you find a convenient lesson or class schedule. Contact us for specific schedule availability. * Semi Private lessons are available for two family members or friends who are close to one another in both age and playing experience. Group Piano Classes are for beginning students aged and older. Special adult classes are also available for students of varying levels. All students learn the fundamentals of piano or keyboard playing including technique, sight reading, theory and repertoire. Group Piano classes also give students the opportunity to make music both individually and as part of a group. Classes are comprised of from 3 to 5 students who are grouped according to age. Our office staff and/or Director can help find an appropriate section. Several new groups are formed each September, January and June, with additional groups added upon occasion throughout the year. If a group for your particular student’s age and experience is not scheduled to begin when you first inquire, then we recommend starting in private lessons. The Group Piano Classroom allows for both individual attention and group playing by using digital pianos and headsets. The instructor is able to work either with each student independently, or with any combination of classmates in order to create group performances. *Digital Pianos offer touch sensitivity that replicates the feel and response of a piano, along with the ability to select from hundreds of additional instrument sounds. What do we need at home for practice? Students should have access to either a piano or keyboard for practicing. Keyboards should be “touch sensitive” with a minimum of five (5) octaves of full size keys. 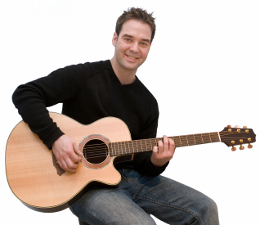 Group guitar classes are a fun and effective way to learn to play this popular instrument. These classes are recommended for beginning students ages 8 to 12. All of the fundamentals of guitar playing are covered, including: correct posture, hand placement, chords, reading music, and simple song accompaniment. Practicing and playing along with other students who are getting started just like you, is one of the things that make these classes so enjoyable. Fees: Group Piano & Guitar Classes are $59 per month. Lesson fees can be paid by either pre-authorized credit card charge, or pre-authorized checking account debit. For more information please call us at 713-450-3306.